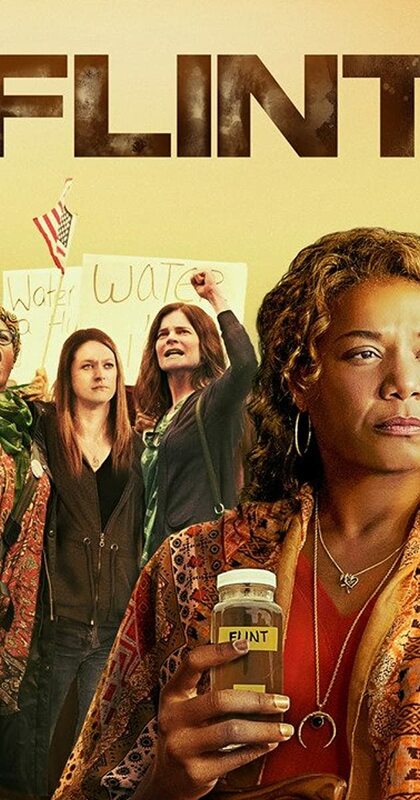 The movie “Flint,” a Lifetime TV original film first aired Oct. 28, 2017, portrays four women activists–Melissa Mays, LeAnne Walters, Nayyirah Shariff and “Claire” as the “steel magnolias” of the four-year ongoing battle to rectify the human disaster caused by polluted water in Flint, Michigan. The film opens with housewife and mother LeAnne Walters trying to be heard by city officials. Walters soon meets Shariff, Claire, and Mays. When the women gather for a meal, Walters cannot eat any of Shariff’s famous cooking because of her deteriorating health. In April 2014, in an attempt to cut costs and at the order of a Republican-appointed emergency manager, Flint stopped using water from the Detroit water system and began drawing its water from the Flint River. The Flint River has been the repository of 100 years of industrial pollution, mainly from General Motors automobile factories. Shortly after the switch Flint residents complained of foul smells, taste and off color in their tap water, but the state government and the city’s emergency manager pooh-poohed them. A black woman medical worker is played by Queen Latifah, who is also the film’s executive producer. Her daughter miscarries a child she was joyfully anticipating. This family represents the widespread health complaints experienced immediately after the switch, well before elevated levels of lead were discovered in the water. Large numbers of Flint residents experienced unusual rashes, allergies and miscarriages. Again, authorities ignored the complaints and vilified the complainers. Queen Latifah’s character convinces Dr. Mona Hanna-Attisha, head of Pediatrics at Hurley Medical Center, to review and publish data on blood lead levels in the babies treated at the clinic. Hanna-Attisha found that, right after the water switch, lead levels trended upward after years of decline. Again the state first ignored and then tried to discredit Dr. Hanna-Attisha. Meanwhile the four women find that funding has “dried up” for an independent investigation, but finally convince Dr. Marc Edwards from the University of Virginia to conduct a large water sampling study. It is only when Flint’s story gains national attention that the state and city stop their campaigns against the activists. The film powerfully brings to life the women who supported each other despite horrible health, economic and emotional consequences for themselves and their children. Though it is clear that they represent many more people than themselves, I would have liked to see footage showing the support from Detroit activists who, early on, connected the Flint water crisis to the mass water shutoffs in Detroit. I would have liked to see the Native Americans and their supporters in the Dakota pipeline struggle brought in and the connection they made to water pollution and capitalism worldwide. This entry was posted in Articles and tagged emergency manager, environmental justice, environmental racism, Flint Michigan, Flint River water, LeAnne Walters, Melissa Mays, Mona Hanna-Attisha, Nayyirah Shariff, Queen Latifah, Susan Van Gelder, water pollution, women's liberation. Bookmark the permalink.